1. Whole foods are cheaper than processed foods! People think that fresh, organic foods are too expensive. In my experience, dishes made from REAL FOOD end up costing less per serving than unhealthy, “junk.” For example, a serving of pure organic chili made with fresh vegetables and grass-fed beef, is dollars cheaper than buying a can microwaveable chili from the market. that destroy your organs & bones. Modified foods contain phosphate additives that magnify taste, texture, and shelf-life. These carcinogens also cause rapid aging, kidney failure, and weak bones. 3. 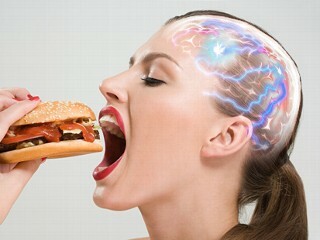 Processed foods are WICKED addictive. Your internal organs process whole foods much more efficiently than processed “junk” foods. Processed foods overstimulate the production of dopamine, AKA the “pleasure” neurotransmitter, which leads to excessive cravings. 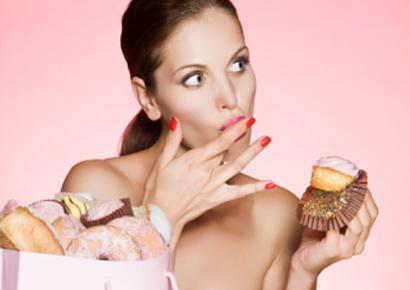 Your mind becomes unable to resist the refined salt and sugar, so you continue eating “junk” foods in mass amounts, which leads to obesity and other health problems such as diabetes and cancer. 4. 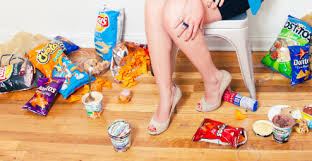 "Junk" foods cause inflammation, one of the leading causes of chronic illness. Studies show that refined sugars, processed flours, vegetable oils, and other artificial ingredients are responsible for this plague. The next time you’re craving candy or a bag of potato chips, think about how it's increasing your chances of heart disease, dementia, neurological problems, respiratory failure, and cancer. 5. 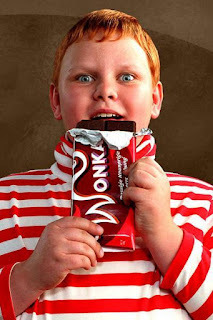 Fake foods spoil your mind. If you suffer from brain fog, or have difficulty concentrating on the present moment, blame your diet. 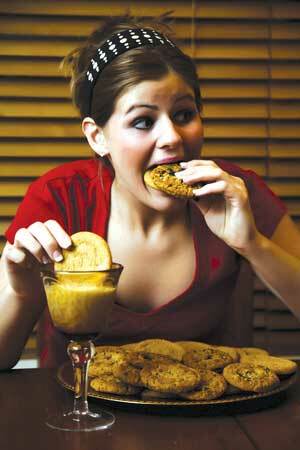 Consuming junk food can cause people to become angry and depressed. Nutritionally-dense foods level out your mood, maintain energy levels, and leave you feeling more collected for productivity. 6. Refined foods ruin your insides. These foods have been disassembled: their natural fibers, enzymes, vitamins, have been altered and removed so the foods will live longer on the shelf. They're processed to wreak havoc on your digestive system. Consumption of packaged foods will pollute your internal ecosystem, disrupting beneficial bacteria and increasing infection. Those Oreos and steak off the Applebee’s menu are poison. 7. Processed foods are pumped full of GMOs. The foundation of most processed foods in grocery stores today spring from laboratories, not nature. Genetically-modified organisms (GMOs), which have been linked to infertility, organ damage, and cancer. Excessive amounts of these foods entail weight gain, pollutes your blood stream, and can permanently effect the composition and function of your intestines. 8. Processed foods are filled with pesticides. In order to grow the GMOs used in processed foods, conventional farmers apply Roundup (glyphosate) along with other pesticides and herbicides, which end up in the crop. Some breakfast cereals out there contain up to 70 different types of pesticides, fumigation chemicals, and other residues. 9. These foods are not real! The simplest way you can assess the nutritional value of food is to see how animals, insects, bacteria, and fungi respond to it. Real foods rot and grow mold over time. Conversely, processed, packaged foods remain largely the same in appearance and shape, no matter what their age. Processed foods are synthetic, and the ingredients are subject to heavy tampering and modifications. Next time you consider taking a bite, think twice!